The James Webb Space Telescope is scheduled to launch in October of 2018. Researchers have a new way to rank the life-hosting potential of alien worlds. 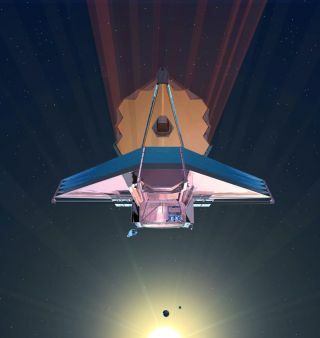 The "habitability index" metric could help guide the operations of future observatories, such as NASA's James Webb Space Telescope (JWST), that will scan exoplanet atmospheres for signs of life, scientists said. Traditionally, assessing habitability has been a yes-or-no affair, with researchers attempting to determine whether or not an alien world resides in the "habitable zone" of its host star. This region of space, also known as the "Goldilocks zone," is that just-right range of distances that can allow the existence of liquid water on a planet's surface. But the new index is more involved, integrating information about an exoplanet's composition (e.g., rocky or not rocky), reflectivity and orbital path to come up with the probability that it can indeed support liquid surface water. The original concept "was a great first step, but it doesn't make any distinctions within the habitable zone," Barnes said. "Now it's as if Goldilocks has hundreds of bowls of porridge to choose from." University of Washington astronomers Rory Barnes and Victoria Meadows of the Virtual Planetary Laboratory have created the "habitability index for transiting planets." Calculations performed in the new study, which has been accepted for publication in theAstrophysical Journal, suggest that the best candidates for alien life are exoplanets that receive about 60 to 90 percent as much energy from their host stars as Earth gets from the sun, researchers said. Astronomers have discovered nearly 2,000 exoplanets to date, and many more await confirmation by follow-up observations and analysis. More than half of these finds have come courtesy of NASA's Kepler space telescope, which notices the tiny brightness dips caused when planets cross the face of, or transit, their host stars from the instrument's perspective. JWST, which is scheduled to launch in late 2018, will also make use of such transits. Among many other tasks, the $8.8 billion observatory will study starlight that passes through exoplanet atmospheres for signs of oxygen, methane and other gases that could have been produced by living organisms. The new habitability index should help scientists optimize JWST's life-hunting work, study team members said. "This innovative step allows us to move beyond the two-dimensional habitable zone concept to generate a flexible framework for prioritization that can include multiple observable characteristics and factors that affect planetary habitability," co-author Victoria Meadows, also of the University of Washington, said in the same statement. "The power of the habitability index will grow as we learn more about exoplanets from both observations and theory."